A serious security problem has been uncovered in Skype, which allows hackers to hijack accounts just by knowing users' email addresses. SOPA and PIPA are two acts under consideration by Congress. Both would cripple the Internet as we know it. A pair of Indian researchers disclosed a new cross-site scripting (XSS) vulnerability in WordPress 3.3 on Monday. 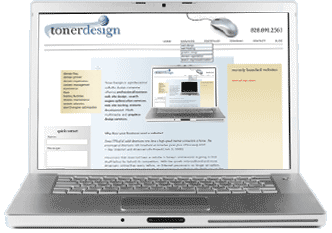 is a Hendersonville web design company, also offering Asheville web design services. We have been in the business of web site design and hosting since 1997, very early in the Internet business. Located in the Hendersonville NC area and close to Asheville, North Carolina, our professional web site design services include offering professional business web site design, search engine optimization services, web site hosting, website development, Flash multimedia and graphics design services. With the growth in broadband and more Americans online than every before, an Internet presence is no longer an option, it's a necessity for continued growth of a business. A customer who finds you on the Internet and purchases from your business can mean your website pays for itself. If you also provide a good online experience for a user with a well-designed website and good customer service, your business grows as a result. Consider also that people often move from one area of the country to another... a change in jobs, relocating to be near family, and for many other reasons. The first place they look for realtors, neighborhood advice, school system ratings, and other useful information and businesses in the new locale is on the Internet. There is no question that an online presence has substantial influence on the success of a business in today's world. We don't mean is it working for you personally since we assume that you like the design and layout of your site. But if it isn't working for your website's users, you've spent a lot of money on something that's not going to help increase your business. Is your website updated regularly? This is important to gain and maintain search engine rankings—search engines want to see an active website. Are visitors able to find what they want on your website? Do you lose a lot of visitors without them ever contacting you? A lot of web design firms will promise you increased traffic, but that's not going to help you. Increased targeted traffic is what you are after if you want to make your website work for you. In other words, does your website market your business and make it more visible, or merely make sure you have a website? Your website is a store for your products or services available to the world, not just your geographical locality. Are you hoping someone will finally explain what you need to know in terms you can understand? We have been "translating" web design since 1997 and can explain how it all works in words you can understand. We know that most business owners are too busy running their business to spend time playing around with technical terms or sorting through the details of web design. We'll explain as much as you want to hear, so that you understand what your choices really are. We consider it a part of the job to educate our customers so that even if they choose to work with another firm, they have a much better understanding of websites and what they really need. Web design and. . .
Pat is the consummate professional. She is highly intelligible, has a great working knowledge of codes, website imaging and marketing and execution thereof. Plus she is personable and extremely proactive in explaining her process and to serving her clients. Simply put, I wouldn\'t trust anyone else to manage and execute my website and hosting services. © Copyright 1997-, Toner Design. All rights reserved. Specializing in Hendersonville Web Design and Asheville Web Design. Professional web site design since 1997.